Kirsten Quinn-Kovacs is among the best and brightest of her people. She gratefully serves the gentle race that rescued her ancestors from a dying starship and nurtures them still. But, if only the Citizens knew where Kirsten's people came from! A chain reaction of supernovae at the galaxy's core has unleashed a wave of lethal radiation that will sterilize the galaxy. The Citizens flee, taking with them their planets, the Fleet of Worlds. Someone must scout ahead, and Kirsten and her crew eagerly volunteer. 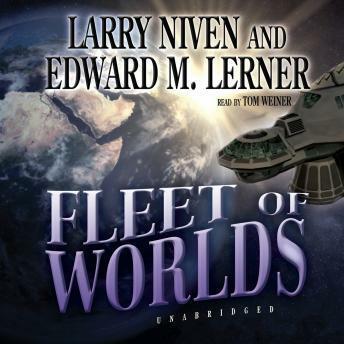 But as they set out to explore for any possible dangers in the Fleet's path, they uncover long-hidden truths that will shake the foundations of worlds.